Math ideas for homeschooling, and All!, kids! YAHTZEE! Early Education Dice-Play Really Helps Kids With Math! There is just something about little dotted cubes that stimulate young minds toward math-related concepts in a really fun way. 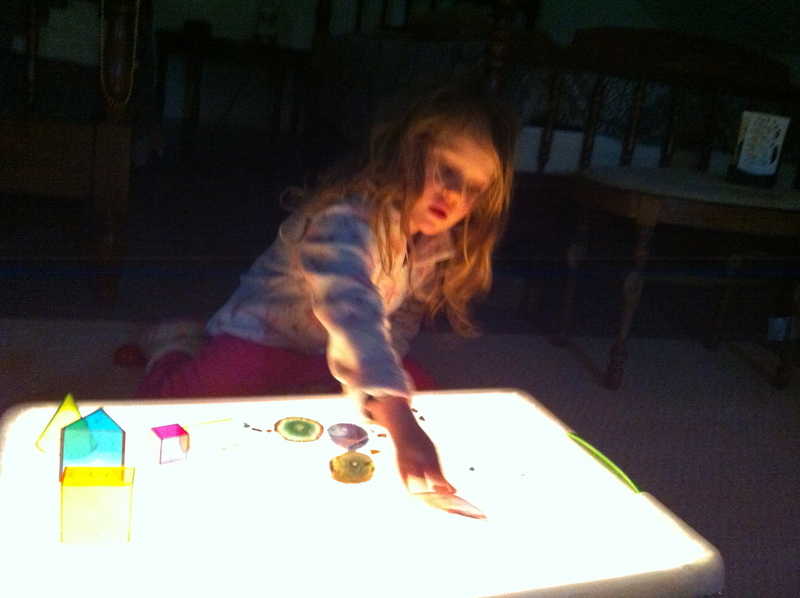 Kids learn best when they have a tactile experience that is fun! I’m writing this post because I have seen first-hand how certain teaching concepts really work with a simple set of dice. We are a family that plays Yahtzee together. 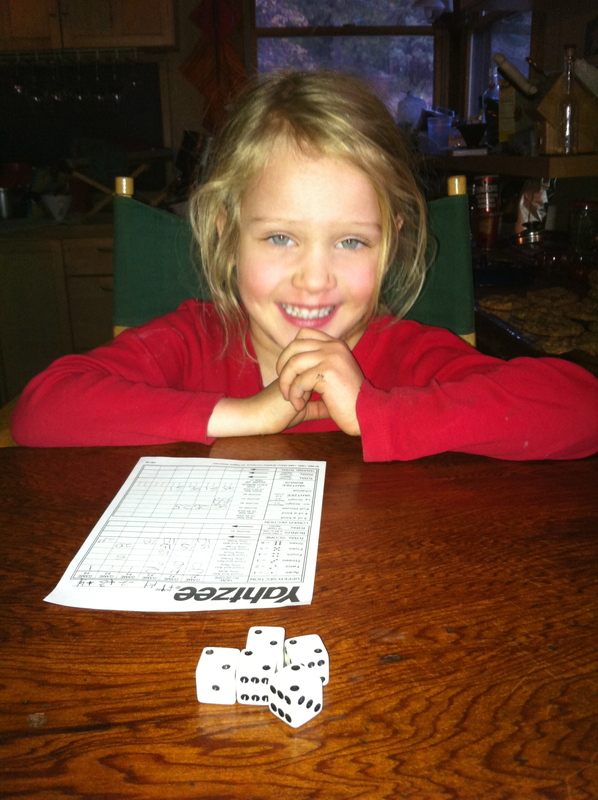 Captain has been around this particular game often throughout her life, especially when Grandma and Grandpa are visiting, and the Yahtzee games turn into full-fledged tournaments. In fact, Captain actually sat down with her Grandpa a few months ago and played for 2 hours. It was her first time actually playing her own game. In the beginning, Grandpa had to keep her on track and kept patiently explaining how she had three rolls to try to come up with a suitable combination. 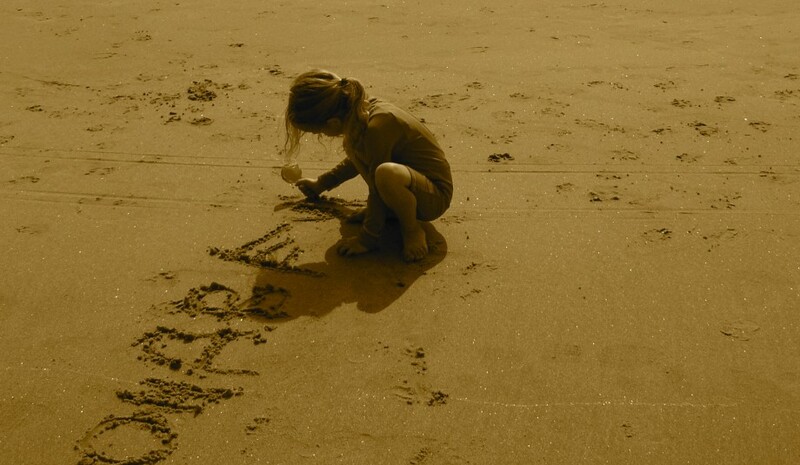 Midway through, she was making her own decisions and doing everything except adding them up. It was amazing! Roll a dice. What number comes before? After? Have a piece of paper and pencil handy. Write the numbers in a different way. For example, if the child rolls a “6”, have them write the number “6” on the paper etc. Roll a dice. What number is ten more? One less? Write the numbers 1-6 on small pieces of paper (or use flashcards). Have the child roll a die and match it to the written number. Play “Add ‘Em Up”: Set a goal of 100. Have the child roll dice to start the game. The parent will add the numbers as the game goes on. As the child keeps rolling, point to each dot on the die while counting and add it to your total. You don’t have to count super slowly, or even make sure that they understand every addition! It about the stimulation and fun. It all “goes in there” somewhere and adds to the natural learning process. Play games like “Yahtzee”. It might be too much for little kids, but I have seen it help kids, teenagers and even adults with their basic adding skills. Let them try! There are lots of resources available online for games for older kids and for more advanced concepts. Just keep those dice rolling! 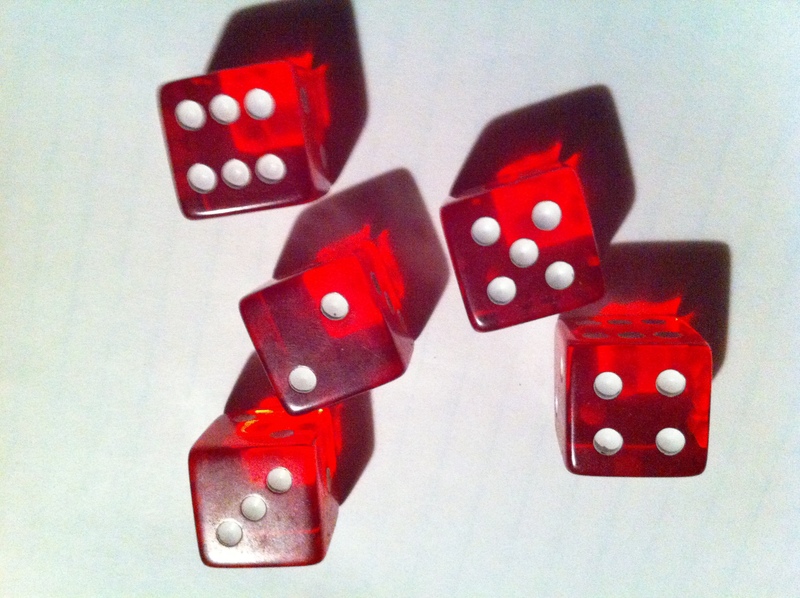 Definitely check out Shannon Dipple’s article entitled Math Games Using Dice on Primary Education Oasis. She rocks! Make Your Own Geoboards For Kids! 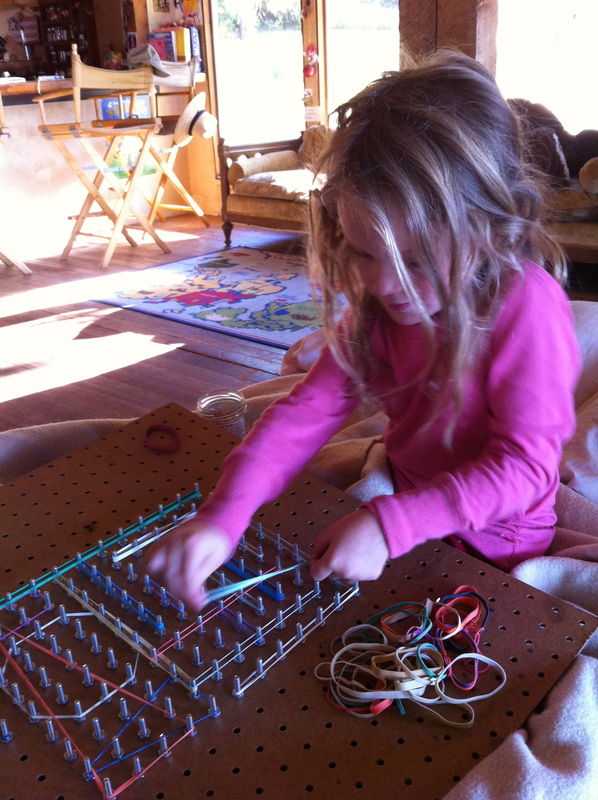 We love our geoboard, made with a pegboard and 1″ machine bolts and nuts. Grab some rubber bands for some fun with designs and shapes! A geoboard is, basically, a board with pegs (nails or screws) poking out on which kids can make designs, shapes and angles by stretching rubber bands between 2 or more of the pegs. It is a WONDERFUL tool for having fun creating pictures, and also a great tactile experience for teaching hexagons, pentagons etc. 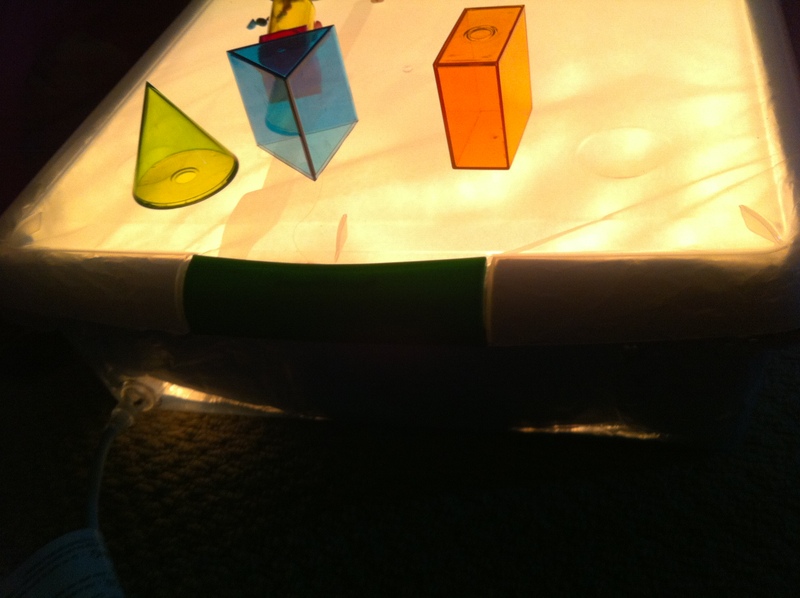 This is another project that does not require kids to learn every angle and the exact names of each shape, although they can learn more that we’d think! The act of stretching out designs stimulates the mathematical parts of a brain. If I read this description to Captain she would probably just walk away. It isn’t about pushing geometry. 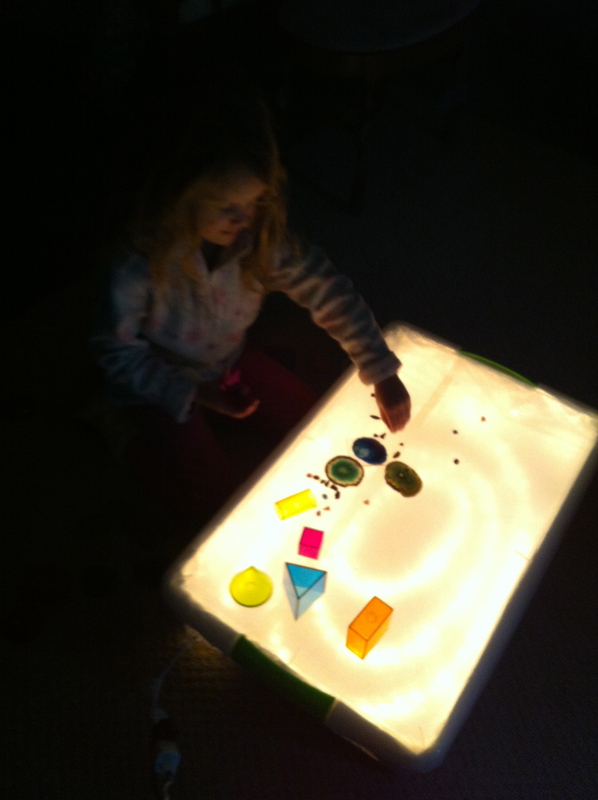 It just brings up one of my favorite things about our idea of homeschooling/unschooling: brushing up against stimulating ideas with a tactile experience, and letting the crumbs fall where they may. Geoboards can be purchased online, and in educational stores, starting at about 4 bucks for a small, plastic square with plastic pegs, and the price goes up from there. Many people recycle a scrap of wood and pound in nails until they are poking out about an inch. We used a pegboard with 1″ machine bolts and nuts. The machine bolts differ from regular bolts in that they have a flat tip, not pointy. When we no longer need the geoboard, we will use the pegboard in the barn for tools and the machine screws for another project. We have found that a bigger size (12×12 or larger) is best because it is sturdier and allows for more creative freedom to make cool designs and shapes. We thought the little plastic geoboards seem too small. We planned to mount ours onto the wall (they are quite appealing on a wall as a little “station”) but Captain has had so much fun with it on a table, or in her lap, that we are leaving it loose about the cabin for now. We have a big jar of rubber bands on hand for activities. It is important to note that rubber bands should only be used by kids who will not swallow them and that can learn to not snap themselves in the eye! If you have a geoboard, or plan to make one, and have any cool activities to share, we would love to hear about them here on kartwheels. The Best 68¢ Learning Toy for Kids! Here it is! 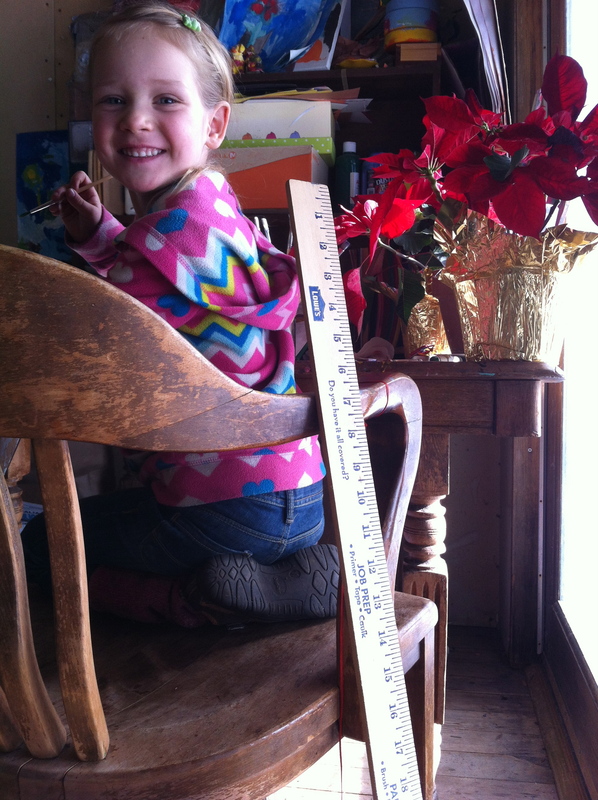 The old-fashioned wooden yardstick: a great learning gift and affordable at 68 cents (Lowe’s). I wrote “To: Captain, Love: Mom” (and added a little heart) on it with a fine-tip black permanent marker to make it a little personal. She has measured her foot, some rocks, her dog (that was a little dicey) and also used it as a sword and a ramp for her “Scooby & the Gang” figurines to march onto imagination boats made out of chairs. Kids don’t need to be pressured to understand what inches and centimeters are at young ages. With a fun thing like this, I believe just being around it and playing with it creates interest and little bits and pieces soak in. After she had this awhile, we had a project involving leaf rubbings and measuring how long they were with a ruler. She easily jumped to that next step, and being familiar with linear measurement from her “sword” helped I think…. and you can’t beat the price! What can you get for under a buck these days? Any ideas? I highly recommend this for little ones and big ones alike.